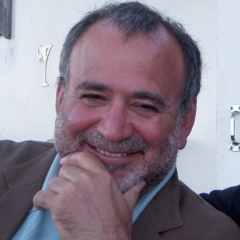 Dr. Lawrence Rosenthal is Chair and Lead Researcher of the Berkeley Center for Right-Wing Studies. He was a Visiting Scholar at the Institute for the Study of Social Change for a dozen years before founding the Center in 2009. He has taught at UC Berkeley in the Sociology and Italian Studies Departments and was a Fulbright Professor at the University of Naples in Italy. He has studied the Right in the United States and in Italy and is currently working on a study of the contemporary American Right in comparison to movements of the Right in 20th century Europe. 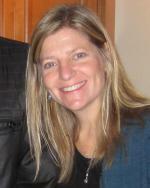 Dr. Christine Trost is Academic Coordinator of the Berkeley Center for Right-Wing Studies. She also serves as Associate Director of the Institute for the Study of Societal Issues (ISSI). Trost develops new research initiatives related to the study of right-wing movements, organizes conferences and events, coordinates the mini-grants program, and directs the second-year of the Graduate Fellows Program. She is co-editor (with Lawrence Rosenthal) of Steep: The Precipitous Rise of the Tea Party (University of California Press, 2012). Trost earned her Ph.D. in Political Science from UC Berkeley and her M.A. in Political Science from the University of Wisconsin-Madison. She has taught courses on American politics in the Political Science Department at Berkeley and at Mills College. In 2008 she received the Chancellor's Outstanding Staff Award for her work as a member of the Berkeley Initiative for Leadership and Diversity Steering Committee. She also served on the Academic Advisory Board of the Southern Poverty Law Center's Intelligence Project from 2014-15. Graciela Yvette Duenas, Undergraduate, History, "PAN Women: A Story of Gender, Power, and Politics in Contemporary Mexico"
Pawel Koscielny, PhD Student, History, "Captive Archives: Memor and Populism in Central Europe"
Dinorah Sánchez- Loza, PhD Candidate, Education, "Race, Class and the Teaching and Learning of Citizenship in Ohio"